Nairobi (AFP) - At least 75 people have been killed during weeks of protests in Ethiopia which have seen soldiers and police firing on demonstrators, Human Rights Watch said on Saturday. "Police and military forces have fired on demonstrations, killing at least 75 protesters and wounding many others, according to activists," HRW said in a statement. Rights groups have repeatedly criticised Ethiopia's use of anti-terrorism legislation to stifle peaceful dissent, with Washington expressing concern over the crackdown and urging Addis Ababa to employ restraint. There was no immediate response from Ethiopian government, which has previously put the toll at five dead. Government spokesman Getachew Reda said the "peaceful demonstrations" that began last month had escalated into violence, accusing protesters of "terrorising the civilians." The protests began in November when students opposed government proposals to take over territory in several towns in the Oromia region, sparking fears that Addis Ababa was looking to grab land traditionally occupied by the Oromo people, the country's largest ethnic group. Demonstrations have taken place in the towns of Haramaya, Jarso, Walliso and Robe among others. "Human Rights Watch received credible reports that security forces shot dozens of protesters in Shewa and Wollega zones, west of Addis Ababa, in early December," HRW added. "Several people described seeing security forces in the town of Walliso, 100 kilometres (60 miles) southwest of Addis Ababa, shoot into crowds of protesters in December, leaving bodies lying in the street." HRW also said "numerous witnesses" described how "security forces beat and arrested protesters, often directly from their homes at night." Pictures have appeared on social media, apparently showing bloodied protestors and armed police firing tear gas at student demonstrators. 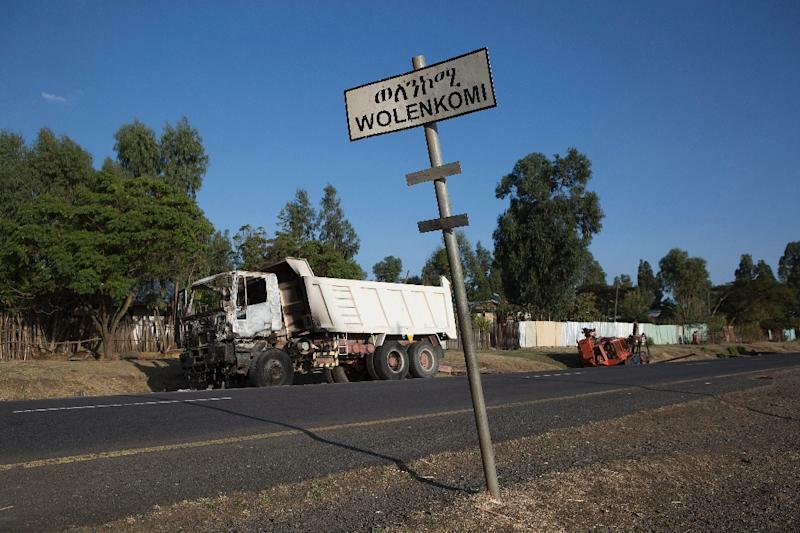 "The Ethiopian government's response to the Oromia protests has resulted in scores dead and a rapidly rising risk of greater bloodshed," HRW's Leslie Lefkow said. "The government's labelling of largely peaceful protesters as 'terrorists' and deploying military forces is a very dangerous escalation of this volatile situation." With at least 27 million people, Oromia is the most populous of the country's federal states and has its own language, Oromo, distinct from Ethiopia's official Amharic language. In a statement issued on Saturday, which did not directly refer to the HRW figures, Washington expressed grave concern over the unrest. "The United States is deeply concerned by the recent clashes in the Oromia region of Ethiopia that reportedly have resulted in the deaths of numerous protestors," said the State Department. "We urge the government of Ethiopia to permit peaceful protest and commit to a constructive dialogue to address legitimate grievances," it said, also urging protesters "to refrain from violence and to be open to dialogue." Writing on Twitter on Friday, Washington's UN envoy Samantha Power spoke of "concerning rhetoric" from Ethiopia's prime minister, insisting the government "must use restraint" in its response to the Oromo protests. Britain's Foreign Office also expressed concern over the protests in a statement issued on Friday, noting that some had "turned violent, resulting in casualties." "There have been heavy clashes including gunfire between protesters and security forces" on December 17, it said, warning Britons against all but essential travel to western and southwestern parts of Oromia. 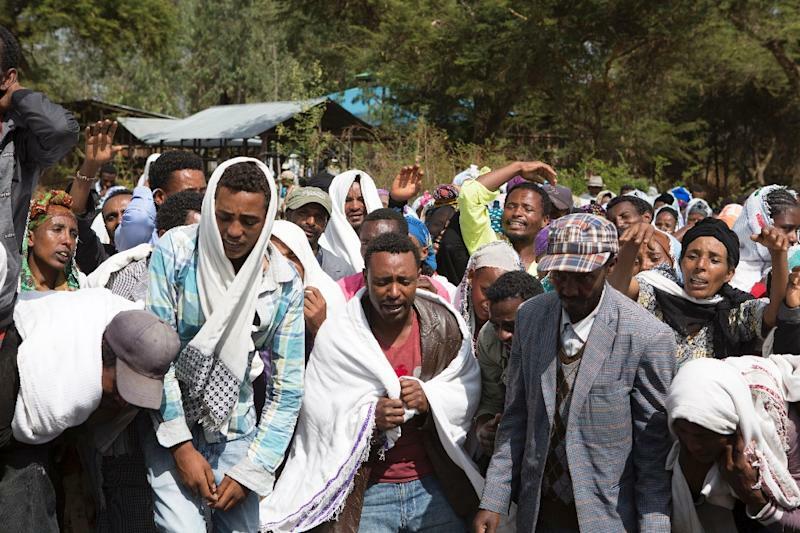 Some foreign-owned commercial farms have been "looted and destroyed" in the protests near Debre Zeit, some 50 kilometres (30 miles) southeast of Addis Ababa, HRW said. HRW said the protests -- and bloody crackdown -- echoed protests in April and May 2014 when police were accused of opening fire and killing "dozens" of protestors. The government said eight people died in the 2014 unrest.